Consumers are being mislead about their rights. The mobile market is a major income earner for the telcos, with growth fast outstripping other revenue sources. But while the companies don’t mind splashing out on ads to lure new customers, they’re not always as keen to stand behind the products they sell. We continue to get complaints about telcos refusing to fix mobile phones that have developed faults outside of the manufacturer’s warranty period. When our mystery shoppers contacted Telecom, Vodafone and 2degrees, their sales staff told us the phone we were inquiring about had a 12-month warranty. If something went wrong after that? Faulty mobile phones have also been a common cause of complaint to the Telecommunications Dispute Resolution (TDR) scheme. A 2degrees sales rep said that if the phone failed after a year “you can get it repaired at your own cost or buy a new one … [it depends] on you really”. Telecom and Vodafone also told us we’d only get a one-year warranty. They both suggested we could buy “phone insurance” for extra protection. This “protection” – which costs $9.95 to $13.95 a month at Telecom (depending on the phone) and $11.44 at Vodafone – would kick in if the mobile was lost, stolen or damaged accidentally. None of the companies mentioned the legal protection provided by the Consumer Guarantees Act. Our mystery shoppers got the same line other consumers have been hearing. Aimee Wilkes’ story is typical. Aimee’s phone developed a software fault 13 months into her 24-month contract with Telecom. The company charged her to fix the phone, stating it was “out of warranty” and refusing any liability under the Consumer Guarantees Act (CGA). It was only after we got involved that Telecom refunded Aimee the repair cost. We wrote about Aimee’s experience in April 2013. Since then, we’ve had more cases (see Consumer gets results). Faulty mobile phones have also been a common cause of complaint to the Telecommunications Dispute Resolution (TDR) scheme. From January 2013 to July 2013, it received 31 complaints. In July 2013, we reported on a TDR decision that found Vodafone liable for repairs to a 30-month-old iPhone. The company had initially denied responsibility, stating the mobile was “out of warranty”. But the TDR adjudicator said the phone wasn’t of acceptable quality and told the company to pay up. Of the complaints we’ve received, there’s been no dispute about the phone being faulty and no suggestion that the customer was to blame for the fault. Despite this, the “out of warranty” excuse is trotted out and customers told they’ll have to foot the bill for repairs. But this isn’t what the law says – and we think consumers are being misled about their rights. The CGA says if a product isn’t of acceptable quality then the retailer has to put it right. Telling the customer there’s no protection after the manufacturer’s warranty ends is misleading. It’s also a breach of the Fair Trading Act. Across the Tasman, telcos have been forced to change their practices following investigations by the Australian Competition and Consumer Commission (ACCC). These investigations followed similar complaints that consumers were being misled about their rights and “hung out to dry” when a phone was faulty. In 2011 Graeme Samuel, then the commission’s chair, warned telcos that “you cannot wipe your hands clean of a faulty product just because the manufacturer’s warranty period has ended, particularly when your product is supplied in conjunction with a lock-in period that is longer than the manufacturer’s warranty”. Vodafone Hutchison Australia and Optus Mobile entered into court-enforceable undertakings with the ACCC, agreeing not to make false or misleading representations to consumers about their legal rights. All the major telcos also agreed to provide 24-month warranties for mobile phones. Events in Australia are belatedly having flow-on effects here, at least in terms of warranty periods. The Commerce Commission has also provided “guidance” to Telecom, Vodafone, and 2degrees on the matter. Vodafone New Zealand says it now offers a 24-month warranty on all mobile phones. The company said the staff member who told our mystery shopper that a phone had a 12-month warranty made an error. It’s reminding retail staff about the 24-month warranty and says it’s also recently created training modules on the Consumer Guarantees Act and the Fair Trading Act, which most staff members have completed. Telecom recently introduced a 24-month return policy for all faulty phones. 2degrees told us it provided a 24-month warranty on new Alcatel and Samsung smartphones as well as the Nokia Lumia 520 (all future Nokia smartphones will have the same warranty). It said our shopper was given incorrect advice about the warranty period and it would be reminding retail staff of the policy. Telcos say today’s mobile phones are sophisticated devices: they have more components than older phones and so may not last as long. It’s true smartphones can do a lot more than their predecessors. But the purpose of a mobile phone is still to be mobile. It’s meant to be carried with you – not kept in a glass case and taken out on special occasions – and it needs to be designed for this purpose. The life you can expect from your phone will depend on its quality and how it’s treated. The good news is that our surveys show the majority of mobile phones are reliable. Our 2013 reliability survey found 91 percent of mobiles bought in the previous 3 years had never needed repair. For the small percentage that are faulty, the law requires telcos – and other retailers – to put things right. We don’t have any truck with telcos telling consumers they have no rights to a remedy after the manufacturer’s warranty has ended. This line is even more untenable when a phone is sold on a 24-month plan but the company denies any liability after 12 months. The Consumer Guarantees Act’s “acceptable quality” guarantee is based on what a reasonable consumer would expect from a product, given the price paid and any claims made by the seller. This guarantee is additional to any manufacturer’s warranty. If your phone fails, and you haven’t caused the fault, you have the right to insist that the retailer makes good. Where it’s a minor fault that can be fixed, the company can repair the phone, replace it, or give you a refund. If the fault is substantial or can’t be fixed, then you have the right to reject the phone and either choose a replacement of the same type and similar value or a full refund of the purchase price. 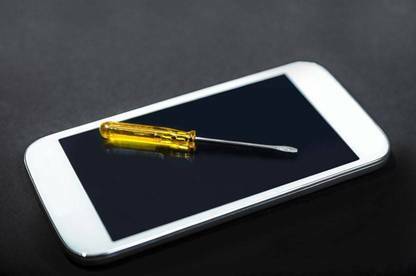 The company may charge you a “bond” before it assesses the problem with your phone. But the TDR scheme has told members they shouldn’t be doing this. It says they have “no ability to charge a fee prior to assessing a mobile phone for damage”. But it seems this message is not getting through. A 2degrees staff member told us if our phone needed to be repaired “there’d just be a $46 bond” to pay. We’d only get the $46 back if the problem was fixed under the manufacturer’s warranty. A telco may also offer to replace your faulty phone with a “refurbished” one. Refurbished phones are models previously returned to the manufacturer – either because they were faulty or weren’t wanted – and "refreshed" for resale. Refurbished phones are effectively second-hand and of lesser value. We’ve previously stated a replacement phone should be a new product – not a pre-owned refurbished one. We think this is what the law requires: it states a replacement has to be “identical”. The TDR also considers this to be the case. If your phone has to be sent away for repair, it’s reasonable to ask for a loan phone. Where you bought the phone on a plan and a loan phone can’t be provided, you shouldn’t have to pay for voice, text and data services you can’t use. If the phone company refuses to honour its obligations under the CGA and it’s a member of the TDR scheme, make a complaint to the TDR. All the major phone companies are members. You can also take your case to the Disputes Tribunal. Let us know too. It’s an offence under the Fair Trading Act for companies to mislead consumers about their legal rights to a remedy when a product is faulty. Consumers’ rights don’t end when the manufacturers’ warranty does. If a company tries to tell you this, they’re wrong. It’s 20 years since the Consumer Guarantees Act was introduced. But it appears major corporates still need educating on the basics of consumer law. Hayley Flett bought a mobile phone from Telecom that developed a fault after 14 months. She’d bought the phone on a 24-month plan and was still paying it off. But the salesperson told her it was “out of warranty” and said she’d have to pay to get it assessed. After we got in touch with Telecom on Hayley’s behalf, the company promptly offered her a new phone, which Hayley was more than happy with. Trevor Weaver’s iPhone developed a fault after 17 months and he faced a $314 repair bill. He’d taken the phone back to Telecom only to be told it was “out of warranty” and any repairs would be at his cost. Trevor says Telecom agreed to pay half of the $314 “after some discussion”. Trevor paid the remainder because he wanted the phone back. It was only after Consumer got involved that the company reimbursed Trevor for his costs. My son's iPhone developed a fault and I took it to the Vodafone shop because it was under warranty. They said it could not be covered by the warranty because it has scratches. I went home and checked the warranty which said that scratches do indeed void the warranty - but only when the scratches are responsible for the phone not working!! I contacted Apple direct and got a replacement phone. I later contacted Vodafone and copied my email to the Executive Team. Apparently it was a staff training issue. Spark say the expected life of a phone is 24 months so too bad. But, i see here that the TDR ordered vodafone to fix a 30 month old phone. I had an i-phone 5S and my daughter had an i-phone 5, the i-phone 5S developed a fault after 3 months. The i-phone 5 developed a fault after a year. These were replaced with refurbished phones from Vodafone. Vodafone told us, it was their policy to replace the phones with refurbished phones. However, after talking to Consumer and working with TDR, Vodafone finally after several months communication sent us vouchers to purchase any phone to the value of $1040 each, which was what we paid for the phones. It is a long, frustrating process, but it is well worth it. Should not be allowed. To replace a broken or faulty appliance with another one that has been repaired is just plain wrong. I presume the warranty or guarantee on the repaired item would not be as long as a new one?